To keep your data center running smoothly, installing a data server rack can help keep everything organized. But before you can install a server rack, you need to plan ahead. Installing a server rack takes a lot of preparation to make sure you get the most out of your technology. Here are some easy ways to complete the installation process with ease. If you have one or one thousand racks, you need to make sure that everyone is able to find the right piece of technology whenever they need it. When bringing new data server racks into your center, you need to make sure to update the diagram. If you don’t, it’ll be hard to keep track of all of the pieces of technology you have stored in the room. If you just throw pieces of equipment into randomly open empty spaces and slots, it’s going to make updating and replacing your units difficult in the future. Keep all like equipment together and create a running list of all of the pieces of equipment you have at one time. If any pieces of equipment are removed from your data center, make sure to update your list. No matter how many times you’ve measured a certain area of your data center, always measure again when bringing new equipment in. You want to make sure you’ll have enough room for not only the server racks but also enough room for the new equipment you plan to bring in. Keep track of your thermal containment systems so you’re able to keep those specific pieces of equipment together. To keep everyone in the loop, make sure you review all plans an changes with every single member of your data center. If you decide to move one piece of equipment to another part of the room but don’t tell your employees, they’re going to have a hard time locating it when they need it the most. Prevent chaos by talking everything over with everyone. According to results from a survey conducted in 2011, over 38% of large companies were expected to exceed IT capacity within 18 months. 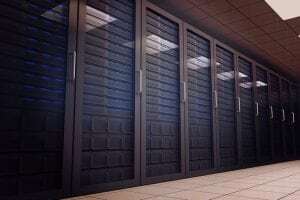 Since capacity is likely to exceed, always think about expanding your server racks and equipment. But before you can do that, make sure you take inventory, take measurements, and come up with a map of your data center.